Gutter cleaning in Portland, OR, is an essential part of your home routine maintenance. Clogged gutters can cause water to back up into the walls and lead to many thousands of dollars in damage. Standing water in a clogged gutter is a breeding ground for mosquitoes, a concern with the spring West Nile virus and EEE season. In the winter clogged rain gutters freeze into heavy blocks of ice causing your rain gutters to pull away from your home, shortening the gutter systems lifespan and creating an overhead ice hazard and can lead to large ice dams and icicles. Gutter Covers (AKA Gutter Protection) can reduce or eliminate gutter cleaning maintenance. Depending on the debris left by the trees surrounding your home, (i.e. trees with blossoms, pollen strings, leaves, pine needles, seeds, acorns, sticks, etc), it is recommended that you have your gutters cleaned 2-3 times a year – in the spring, early fall (October) and late fall (November/December). For homes with large amounts of leaves or pine needles, a fourth gutter cleaning in the summer is often required. When is the Best Time to Have My Gutters Cleaned? The following are recommended times for gutter cleaning. Because weather patterns are different each year a range is given for each gutter cleaning. 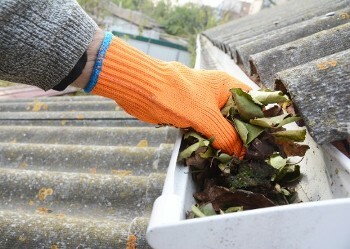 Spring – Between April and end of June to rid your gutters of an accumulation of fall and winter debris. In addition, some of the tender tree foliage is blown off the trees along with blossoms and pollen strings which because of their consistency will clog gutters causing them to hold water, providing a perfect breeding ground for mosquito larva. Mid to Late Summer – August through September because, despite the fact that most leaves are firmly attached to the trees, some still come down and end up in the gutters. Thunderstorms, strong winds, and drought, all are strong contributors to large accumulations of leaves, pine needles, sticks, and debris during the summer. 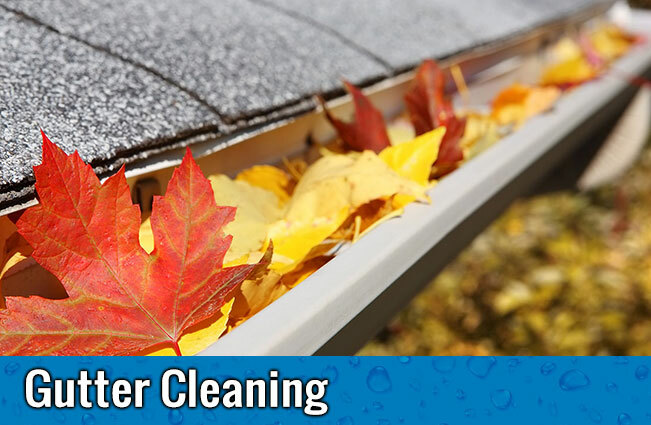 Early Fall – October through November, leaves and needles quickly accumulate in your gutters and their sheer volume requires the gutters to be cleared. Late Fall (before the snow arrives) – Cleaning time depends on where you live and is between late November and the first weeks of December is when most leaves are off the trees. This gutter cleaning is a balancing act of waiting for most leaves to be off the trees and not waiting too long so that all rain gutters freeze solid with the ice and leaves in them. How We Clean Out Your Gutters and Downspouts! Flushing all gutters to check for proper water flow. Flushing all downspouts to check for proper drainage. Providing photos of work on request. We install gutter guards. Call us today for more information or a free in-home estimate! 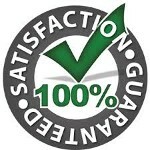 Please contact us for a free estimate to have your gutters cleaned.